AT THE BEST PRICE IN TOWN! When choosing your remote starter more range is better! The range ability of your remote starter doesn't mean you will be 1-3 miles from your car. It means when you're in high traffic areas it has more POWER to get through the air noise. Cell phones, radios, wifi and so many other things impact the "range" of a remote starter. The more range a remote starter has the better the chances of it reaching your car when you need it to! So go big and go warm! Please note: online pricing is accurate for most vehicles. Specialty vehicles (Volkswagen, Mercedes, BMW, Land Rover and manual transmissions for example) may require special parts and pricing may vary. Contact us for accurate quotes. Start your engine from up to a quarter of a mile away with this entry level Viper remote start system. 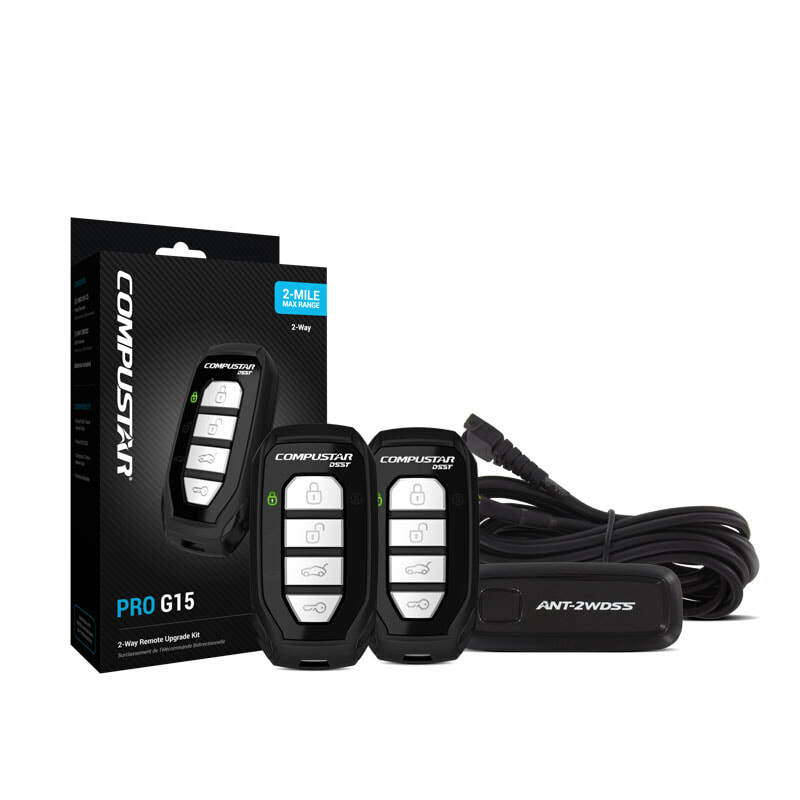 This system comes with two 3-button remotes and several features, including lock, unlock, remote start and includes blue tooth SmartStart. Includes 2 - 3-button 1-Way remotes each with up to 1/4 mile range. For an accurate quote please include which starter, year, make & model of vehicle. The extended range G15 3000 feet of range in this one way entry level system. Lock, unlock, trunk release and remote start your vehicle with the push of a button. Includes 2 - 4 button 1-way remotes each with up to 3000 feet of range. Includes 2 - 4 button 1-way remotes with up to 1/2 mile range. Viper's 2-way LED starter features a clean sleek ergonomic industrial design, made to fit the user's hand comfortably, enabling effortless and intuitive single-handed operation as Brilliant LEDs confirm your commands. Lock, unlock, trunk release and remote start your vehicle with the push of a button or use blue tooth SmartStart. Includes 1 - LED 2-Way and 1 - 4-button 1-Way remotes with up to 1 mile range. The 2 Way LED Starter features 2 miles of extended range and gives instant LED confirmation whenever you lock, unlock, trunk release or start your vehicle. Includes 2 - LED 2-Way remotes with up to 2 miles range. Responder LCD complete with 1 mile range, priority icons and text seen on a 20% larger display, an onboard lithium-ion rechargeable battery with micro-USB recharging – all in the slimmest display remote on the market. Lock, unlock, trunk release and remote start your vehicle with the push of a button or use blue tooth SmartStart. Includes 1 LCD 2-Way and 1 4-button 1-Way with up to 1 mile range. Up to 3 mile in range this 2 way LCD remote starter gives visual confirmation for locking, unlocking and starting your vehicle and much more. Command your vehicle from virtually anywhere with DroneMobile by Compustar. 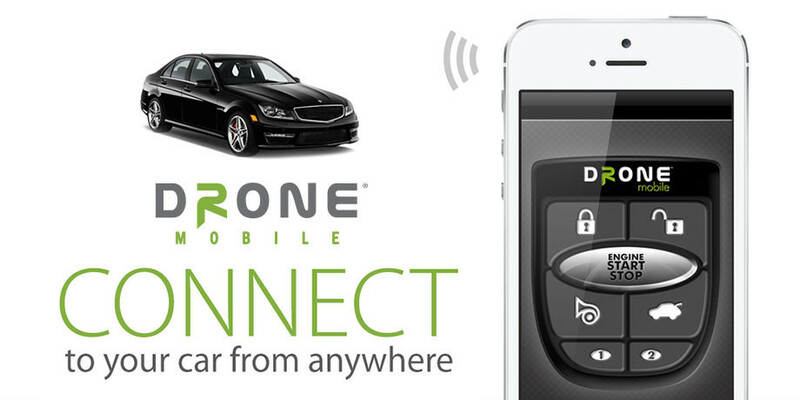 DroneMobile gives you the ability to remote start, track your vehicle through the use of GPS. Includes 30 day trial period upon installation. *Note: There is an annual subscription fee for Drone. $60 per year for basic packages, $120 per year for the premium subscription. Visit dronemobile.com for exact subscription details. Virtually unlimited range gives you the ability to remote start, track and monitor your vehicle from any where. Includes first year of service with installation. *Note: There is an annual subscription fee for SmartStart. $70 per year for the basic subscription, $100 per year for the premium subscription. Visit viper.com/smartstart for exact subscription details. Have a manual transmission? We can still help you with a starter! There are safety features the starter looks for before turning the engine over so there are additional safety, programming and wiring features needed. Call for pricing on a manual transmission. Most models are available in an alarm or alarm starter combo. Be sure to include the year, make and model of your vehicle so we can make sure your quote is accurate. Having a remote starter in stalled DOES NOT affect your vehicle's warranty. Don't let your dealer tell you otherwise! The Magnuson-Moss Warranty Act is Federal Law enacted in 1975 establishing warranty requirements. The Act provides that: “Warranties, written or implied, cannot be conditioned on the consumer’s use of any article or service identified by brand, trade, or corporate name.” This prohibition against conditioning warranties on the use of authorized items or services can only be waived by the Federal Trade Commission if two specific factors are found: 1) The Federal Trade Commission is satisfied that the warranted product will function properly only if the article or service so identified is used and 2) The Federal Trade Commission finds it is in the public interest. The Federal Trade Commission in determining what is in the public interest, seeks and accepts comments from the public. What does this mean to you? Purchasing and having accessories installed in your vehicle does not void your warranty unless the manufacturer has been able to convince the Federal Trade Commission that the installation and/or service will cause a malfunction to the vehicle and the restriction is in the public interest. These are difficult tests to meet, especially since the public is economically and technologically ahead through third party accessory options. If your manufacturer or dealer tells you that your warranty is void or able to be voided due to third party accessories or service, ask him for the Federal Trade Commission determination supporting the claim. You may even want to call the FTC yourself. *Remote starter pricing may vary slightly depending on the year, make and model of your vehicle. Sometimes we need a second key made or additional parts to make your starter fully functional. We will make you aware of all costs before work is completed. Most of the time the pricing on this page is what your cost will be plus any taxes.